At Vorks, we are committed to achieving world-class product quality and reliability as stated in our Quality Policy. We expect our entire workforce as well as our suppliers to deliver the highest quality products, solutions and services that are worthy of our customers' trust and that enable our products to positively affect lives around the world. We use preventive processes and testing as our main approach to drive the highest quality standards and to ship products that meet our stated quality goals. Our commitment to continual quality improvement and customer satisfaction is an essential ingredient within our corporate culture and values. This commitment is a fundamental part of our corporate processes and systems. 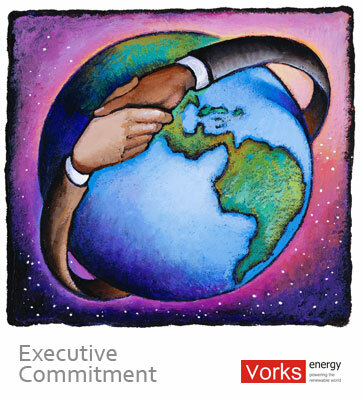 Vorks Energy have built a Quality Management System foundation through certification to the ISO 9001 standard, with a roadmap to continually improve our business processes toward world class quality performance.